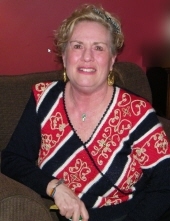 Kathleen M. "Kathi" Hill, age 62, a resident of Lisle, IL, formerly of Naperville, IL, passed away suddenly at her home on Tuesday, April 9, 2019. Kathi was born on October 18, 1956 in Pirmasens, Germany. She graduated from Naperville Central High School in 1974 and Southern Illinois University, Carbondale in 1978. She is survived by her father and mother, Chuck and Bobbie Hill of Naperville, IL; two brothers, Tim (Bernie) Hill of Castle Rock, CO and Chris Hill of Wheaton, IL; and one sister, Peggy (Clyde) Gundrum of Batavia, IL. Kathi was a generous and devoted aunt to her many nieces and nephews: Madeline (Luke) Garceau of Oak Creek, WI; Grant (Katie) Gundrum of Batavia, IL; Stephanie (Nick) Hernon of Castle Rock, CO; Reid Gundrum of Chicago, IL; Jacqueline (Zac) Pacanowski of Chicago, IL; Patrick Hill of Castle Rock, CO; Chris Hill of Carbondale, IL; and Drew Gundrum of Rockford, IL. Kathi was most recently so excited to become a great aunt to: Amelia and Teddy Gundrum; Theo Hernon; and Delaney Garceau. Memorial visitation will be held on Saturday, April 13, 2019 from 1:00 – 3:00 PM at Friedrich-Jones Funeral Home & Cremation Services, 44 S. Mill Street, Naperville, IL. A Memorial Prayer Service will follow Saturday, 3:00 PM in the funeral home. Future inurnment: SS. Peter & Paul Catholic Cemetery Mausoleum of the Holy Apostles, Naperville. To send flowers or a remembrance gift to the family of Kathleen M. "Kathi" Hill, please visit our Tribute Store. "Email Address" would like to share the life celebration of Kathleen M. "Kathi" Hill. Click on the "link" to go to share a favorite memory or leave a condolence message for the family.